Hello Helga! I love your birds, especially the Christmas ones. Absolutely adorable!!! Hello. I love them. I am from Prince Edward Island Canada. Don't apologize for your English. I cannot even say hello in your language. 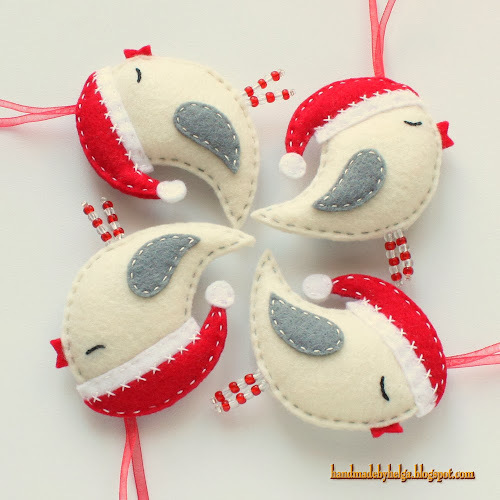 Beautiful little ornaments. Thank you for sharing them with us. I am in Chester Basin, Nova Scotia, Canada. Hello, from south Brazil. 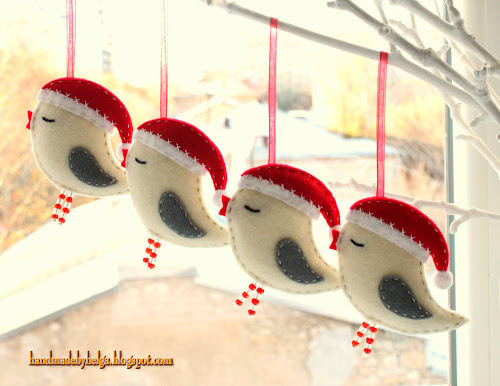 I love your xmas birds, so cute! These are beautiful Helga! Thank you for showing us! I am in Kent in England. Kent, thank you so much! These caught my eye immediately...absolutely gorgeous. Thank you! I am happy that you like my creations! Hello! Thank you for visiting my blog! 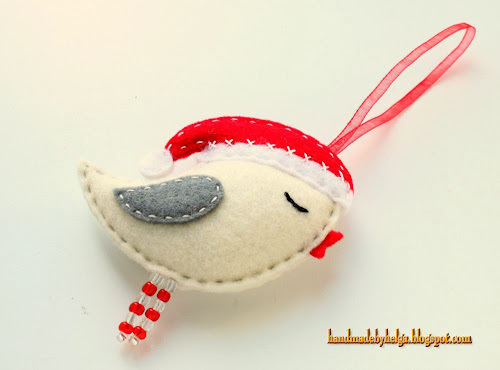 Unfortunately, I don't have pattern for these birds yet. Ciao! Grazie per aver visitato il mio blog! Purtroppo, non ho motivo per questi uccelli ancora. I love your birds they are so cute. Do you have the pattern for them now, we are fundraising for a day centre at the moment and they would be perfect. 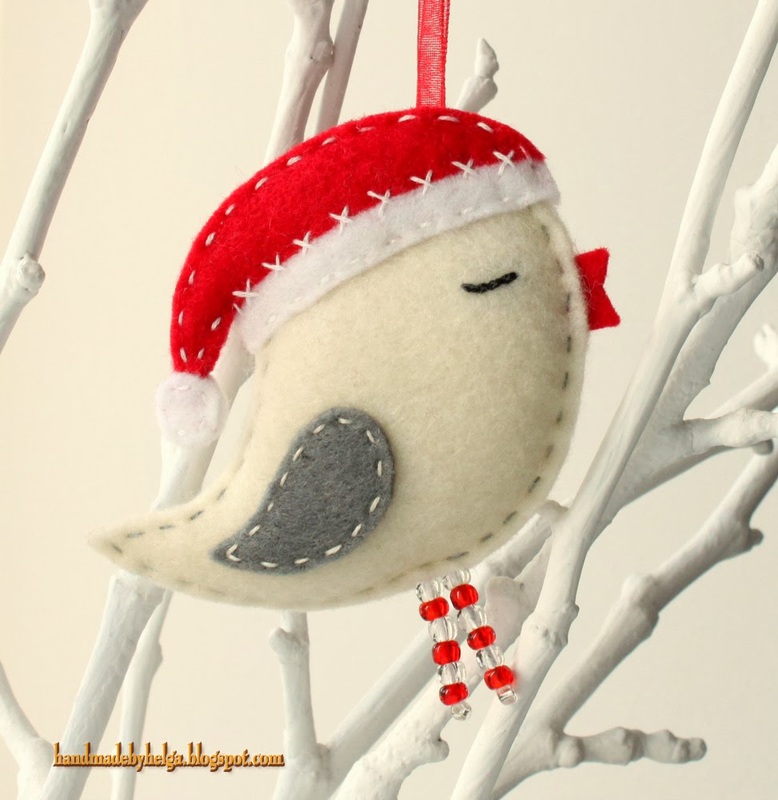 Have you a pattern from felt bird with santa-claus?